Prayer Shawl, sewn from little baby T-shirts, takes the form of a ‘Tallit’ (Jewish prayer shawl, traditionally intended to be worn by males over the age of 13). A line or two of text runs along the top of most ‘Tallitot’ that provides the wearer with the appropriate blessing recited before donning the shawl. In this case, the prayer I have utilized is one that parents use to bless their children every Sabbath eve. 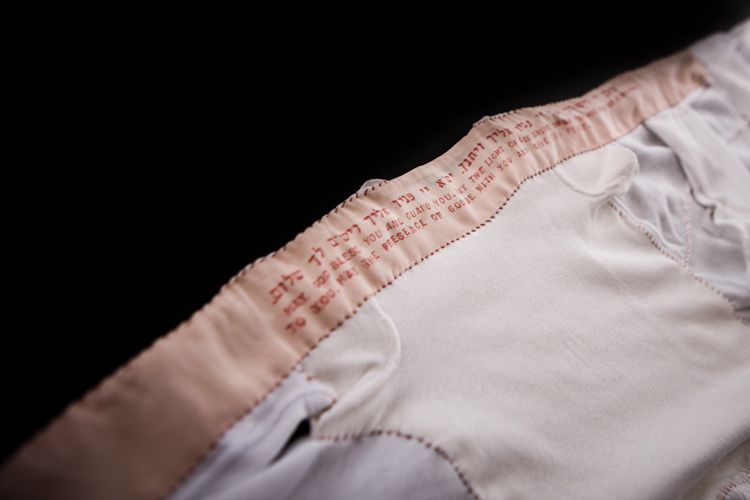 Little bells adorn the edges of each of the baby garments, much in the manner that “Tzitzit,” or fringes, are sewn onto an actual Tallit. 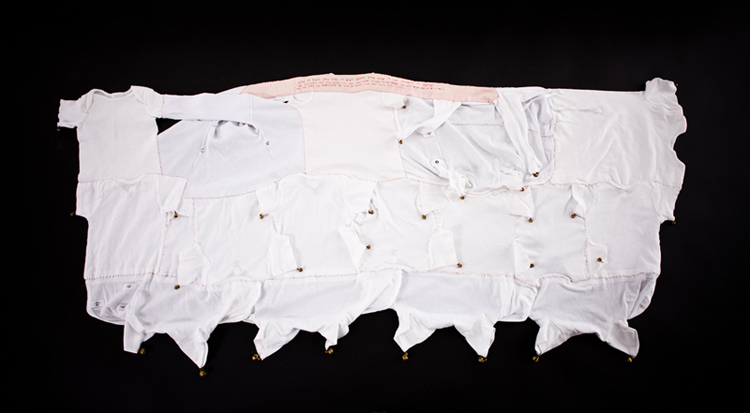 The loss of so many Palestinian and Jewish children in conflicts were much in my mind when I sewed this work, and its creation, for me, was a kind of ritual. As this shawl is activated by its wearer, the little bells ring — sounding out reminders, commemorating young lives.